The original tiles in the bath were restored. A new, outdoor patio was added. Joe Nagle of Detroit enjoys the pool. In a nondescript white building with bricked-over windows in Detroit’s North End, an unlikely renovation project is simmering. A multigenerational trio of Metro Detroiters is breathing new life into a famous, if not infamous, Oakland Avenue gem: The Schvitz Health Club. The 87-year-old bathhouse’s tight-lipped walls have borne witness over the years to Depression-era lodgers, Jewish mobsters, (possibly) ritual mikvah bathers, judges and politicians, even swingers. Now, the trio hope to return the building to its original purpose: good old-fashioned relaxation. “There were lessons to be learned here, and the steam room is where they were taught,” recalls Alan Havis, 57, an attorney living in West Bloomfield and co-partner in the restoration project. His nostalgia for the days he spent there with his own father led him to join owner Paddy Lynch in the project, and he envisions his role expanding as the business grows. Growing up in Southfield, Alan attended Detroit College of Law (now Michigan State Law School) in the early ’80s and would steam on Thursday nights with his father and great-uncle, who was an Orthodox Jew. The Schvitz never kept a strictly kosher kitchen, so they would bring his great-uncle boiled potatoes, whitefish herring, tomatoes, onions and peppers to eat while the others enjoyed steaks and burgers prepared fresh by “Toots,” cook and general manager Eugene Johnson, who lived in and ran The Schvitz for more than 50 years before his passing in 1987. It was also the many hours of relaxation in the steam that brought Paddy Lynch, owner and lead partner in the restoration project, to catalyze such an unusual building resurrection. Lynch, 33, a funeral director with Lynch & Sons, bought the building and two adjoining lots for $160,000 in March 2017, six years after completing most of an impressive restoration on a home he purchased in the North End’s historic Arden Park section. “Not too long after discovering The Schvitz, I began going through an especially difficult time in my life: spiritually, emotionally, even physically,” he said. “Mistakes from the past, relationship regrets, my time in Haiti, my sobriety, my life burying the dead; it was all coming to a head. The Russian banya, or public bathhouse, tradition dates back thousands of years — and more recently to a time when most residential homes and apartments lacked running hot water. The typical banya had both a steam room and a washing room, the latter dispensing warm water heated by the fiery-hot rocks of the former. Some banyas, like The Schvitz, also feature cold pools for bathers to dip into between sessions. Traditional felt hats are often worn to protect the head from hot temperatures, and short, fragrant oak leaf brooms called veniks are used to give platzas (Yiddish for shoulders or back) hot soapy massages that take place in the steam room. Lynch wasn’t content with just owning The Schvitz. He wanted to understand its origins and, in particular, why it held such historical significance for the Jewish community. He contacted Rick Meltzer, whose father Harry B. and grandfather Charles Meltzer opened the business on Oakland Avenue at the height of the Great Depression in 1930. Rick now operates his father’s St. Clair Shores restaurant, Uncle Harry’s Deli, which opened in 1977 after The Schvitz changed hands in a foreclosure dispute. Harry B.’ s cousin, Harry “Chinky” Meltzer, was an associate of the Purple Gang, a Jewish mobster group of bootleggers and hijackers who rose to prominence after Detroit became the U.S.’ first “dry” city in 1917, three years before national Prohibition. Many members of the Purple Gang were known to frequent The Schvitz, where naked men couldn’t conceal weapons and the wet steam made it impossible to wiretap conversations. In his deli, Rick has pictures of his sizable family and the Oakland Baths [the original name] hanging on every wall. He spoke nostalgically of those days and the ease with which notable politicians, mobsters and regular folks of all different ethnicities and means mingled peacefully in the space. He was especially proud to report that in the 45 years his family owned the establishment, “only two people died in there!” and both of natural or accidental cause with no foul play suspected. Rick remembers his father describing the earliest days at the Baths when $1 bought a patron a towel, a bar of soap and a bed in the hotel that used to be on the floor above where the bricked-out windows still stand. On the third floor was a ballroom with a bandstand for musical performances. He’s optimistic about this trio’s bold restoration efforts after many years of uncertainty and watching the business descend into more risqué ventures like swingers’ nights to keep the bills paid. “They’re doing the right thing with the club,” he nods approvingly. Jessie Nigl, a partner in The Schvitz restoration project, is a former general manager at Selden Standard, the upscale midtown Detroit eatery. She envisions her role as one of infusing the club with high-caliber hospitality and an array of wellness services. She’s also looking forward to re-opening the space with both women-only and coed programming (bathing suit required). Jessie may have some historical precedent to bolster her move: Paddy’s construction team recently uncovered what they believe is a boarded-up mikvah, or Jewish ritual bath, in the building’s former game/swingers’ room. 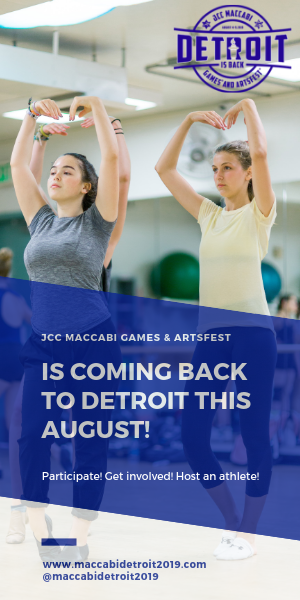 They invited Rabbi Yisrael Pinson, executive director of Chabad of Greater Downtown Detroit, to investigate their find and he’s “100 percent” convinced it’s authentic and probably dates to the time of the business’ opening. “Any bathhouse that Jews frequented would have had a mikvah,” Pinson said, noting that the Torah gives two options for mikvah water sources: (1) mayyim chaim, literally “living water” from a river, stream, lake or ocean, or (2) rainwater collected in an adjoined reservoir. A small pipe connecting the mikvah pool, which is filled with treated city water, to the rainwater reservoir allows for a free flow, or “kissing” in Talmudic terms, of waters between the two pools when a plug separating them is pulled out. This exact setup is present in The Schvitz mikvah, Pinson says, along with an outside door that would have allowed women to enter separately from the men. Finally, he found the characteristic seven steps into the mikvah, which correspond to the seven kavanot (intentions) for mikvah preparation that a woman would recite while entering. Although it might appear odd that a secular hotel and bathhouse frequented by gangsters would also serve as a site of ritual purification, Pinson notes the richness and complexity of the Jewish community in 1930s North End Detroit as he brushes off the doubts. “Even the Purple Gang came to shul on Yom Kippur,” he said. Back at the open house, Yom Kippur 2017 has just ended and a motley crew of suburban millennials, their parents and curious Detroiters — born-and-raised veterans and returned expats alike — mill around The Schvitz, admiring the curious building. As in all things Detroit today, the many layers of often-contradicting history laid upon each other give way to more than a little bit of cognitive dissonance. Paddy, Alan and Jessie don’t seem to mind too much. They’re focused on honoring the past without whitewashing it, on seeing the best in The Schvitz even through its worst of times. Nearly a century after its founding, The Schvitz still steams on. If you ask Alan how it survived all the years and the human commotion it engendered across the decades, he’ll make an analogy to the steam room itself, where hot coals splashed with water raise the temperature well above 100 degrees Fahrenheit. Alan Havis, one of The Schvitz co-owners, shows the rocks that produce steam at The Schvitz. He holds a bundle of oak leaves traditionally used to hit bathers to stimulate circulation. Bathers at The Schvitz enjoy a meal and camaraderie in this historic photo. 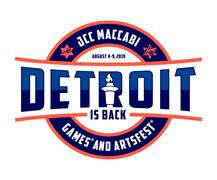 To learn more about The Schvitz, visit schvitzdetroit.com or call (313) 871-9707. The Michigan Jewish Historical Society will host Nosh Gen: A Night at The Schvitz-Rediscover the Oakland Bath House on Saturday, Feb 24, 6:30-9 p.m. at The Schvitz, 8295 Oakland Ave., Detroit. Visit michjewishhistory.org.